The prices of yacht charter in Turkey depend on what you prefer and depend on the type of yacht In our yacht charter Turkey portfolio, in addition to useful information that you will see in it, you will find in our page actual pictures that would help you choosing a luxury yacht charter or a luxury gulet charter. During your cruise, you will encounter archeological ruins such as Lycian, Karian, Pamphylian civilizations numerous arcaic remainings such as, Olympus, Phalesis, Xhantos, Patara, Letoon, and Myra. Ancient ruins welcome you in every bay you drop anchor on a mega yacht charter in Turkey. 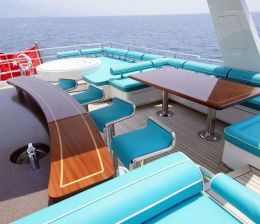 Crewed yacht Charter Turkey is your best choice. 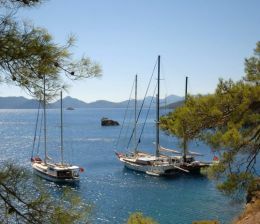 If you have not had a chance to visit Gocek, Fethiye , Marmaris or Bodrum yacht charter. We passionately urge you to visit these authentic places where you will find many hotels, or complex villas, and there are also small boutique hotel or holiday homes, studios which are traditional houses that you will enjoy staying yacht charter Turkey Let yacht charter Turkey be your first destination to have the peace of mind that you seek for in your coming holiday.